The restoration of the Han River in Seoul, known as Cheonggyecheon Restoration Project, is seen as a landmark case of re-introducing nature to the city and promoting eco-friendly urban design. From K-food and K-fashion to K-pop and K-drama, South Korean popular culture has been sweeping across the world like a cyclone on steroids. Alas, one Korean import has received less attention then it should – Korean town planning. One does not need to look further than the Gangdong Greenway in Seoul to find such examples. Located in the upper Han River basin on Seoul’s easternmost fringe, there are plenty of reasons why Gangdong District embodies innovation in city planning – low-carbon, green, walkable and connected, to name a few. Lee Hae-sik, the mayor of the district office, describes it as town that harmonises human beings and the environment. He appears to have made his mark. More importantly, the greenway connects people with public leisure and recreational space over a large area. The 25-square kilometre gu is essentially a district enclosed in a 25-kilometre ring that interconnects the surrounding mountains, parks, streams, river, residential areas and cultural heritage sites – the area boasts pre-historic remnants dating back to around 6,000 years ago – all in one walkable loop. More than 40 per cent of the district is green. The district is filled with urban farms, which churns out organic food for the community and helps cool down the area by mitigating the urban heat island effect. Civic Exchange has long been of the opinion that well-planned cities that put the pedestrian ahead of the vehicle make for much more liveable ones. 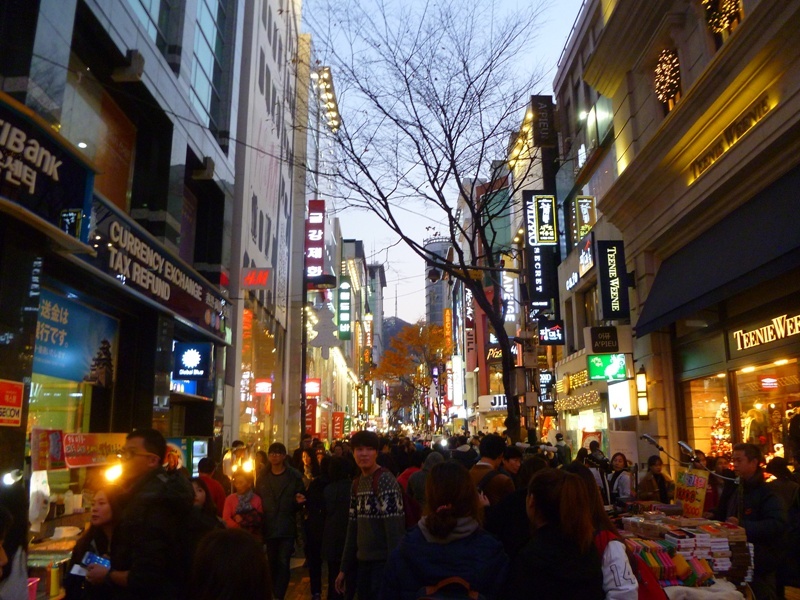 Hong Kong could take a page from Seoul’s urban planning playbook. For a densely-populated metropolis, Hong Kong boasts a diverse geographical environment, with three quarters of its landmass protected country park and 40 per cent protected green areas, most which are just a stones throw from the city. There are parks, public spaces and waterfront promenades. Yet, Hong Kong falls behind in providing people access and connectivity to public space. Only about 31 per cent of land around Victoria Harbour for example, is accessible to people, with the rest cut off from access due to roads and highways. Most town planning is automobile-oriented, rather than pedestrian-oriented. Can you imagine a seamless greenway connecting key parts of Central or Tsim Sha Tsui that can be walked and cycled without the obstruction of smoke-belching cars and buses? 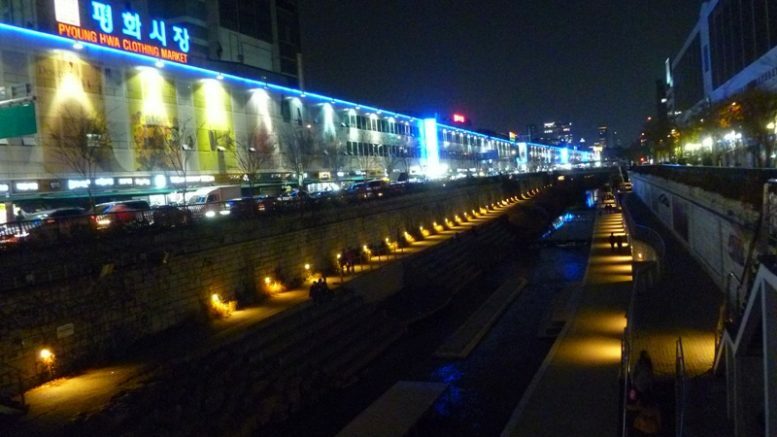 The seeds of Seoul’s Gangdong Greenway project span back to 2006, when an “eco-city” plan for the district was drawn up. The aim was to “promote energy and water circulation systems, promote biodiversity, and establish an active urban eco-culture by 2015. Another aim was to create a walkable environment by connecting the suburban ring-type greenways with the urban greenways. From 9.73km in 2007, during the first phase of the project, it was extended to 15.27km in 2010. The project managed to scoop up an award for improving physical activity at the World Health Organisation’s 5th West Pacific Healthy Cities Alliance Conference in 2008. Invited to speak at this October’s Walk21 Hong Kong Conference is University of Seoul academic Dr Kim Sang Bum. As former vice-mayor for transportation with the Seoul Metropolitan Government, Dr Kim will share South Korean capital’s story and why pedestrian-centric district planning like that for Gangdong can be so beneficial to entire cities. This is the fourth of a series of articles by Civic Exchange, an independent think-tank, in its joint programme with Walk21 for the Walk21 Hong Kong Conference scheduled for October 3 to 7, 2016. You may visit www.walk21hk.com for more details and registration. Be the first to comment on "One small plan for Seoul, one giant loop for walking"